Got a demo that features this product? We'd love to hear it! Your system must also meet the requirements for version 5.7 of Kontakt Player. 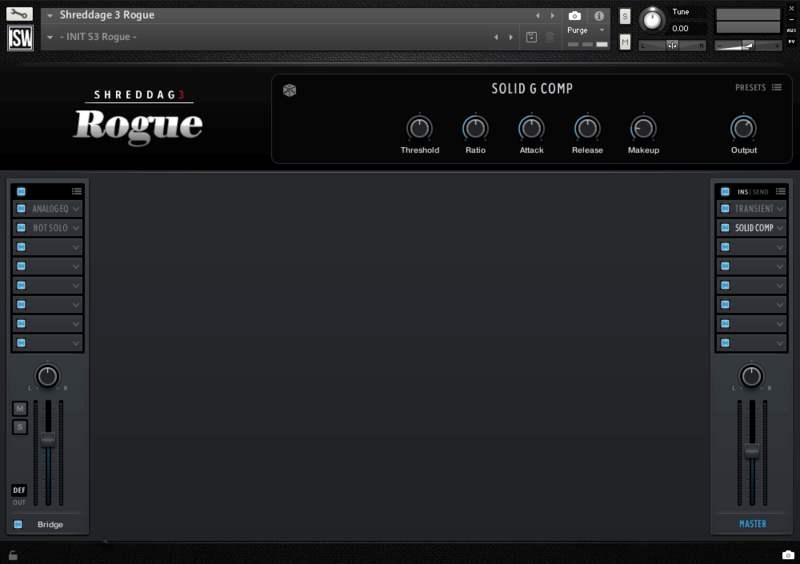 If you cannot run that version, you will not be able to load the Kontakt instrument. 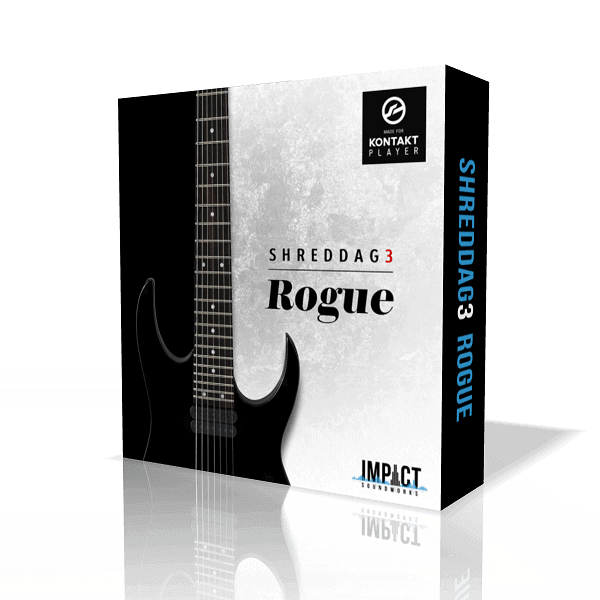 Shreddage 3 Rogue is the first chapter in a new universe of Impact Soundworks guitar and bass instruments. In creating this sample library, we’ve drawn from nearly a decade of experience and customer feedback on our previous guitars. We created a new engine - Shreddage 3 (or S3, for short) - entirely from scratch, incorporating the latest Kontakt technology and tools available in version 5.7. 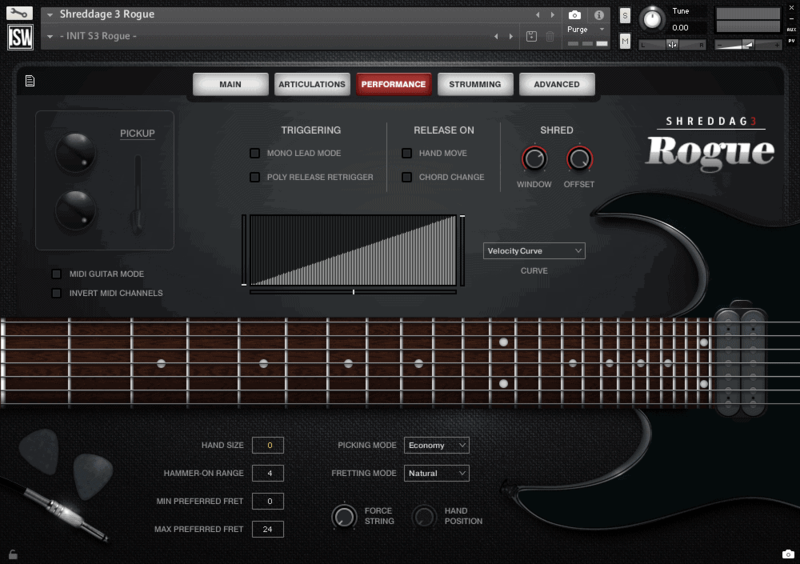 Our new fretting and voicing algorithms give you more realistic performances and playback than ever, emulating how a real guitarist would play a part. Changing these is as simple as selecting from a menu or pressing a keyswitch. A much-requested Strumming engine has been added, great for both slow and fast rhythm parts alike. 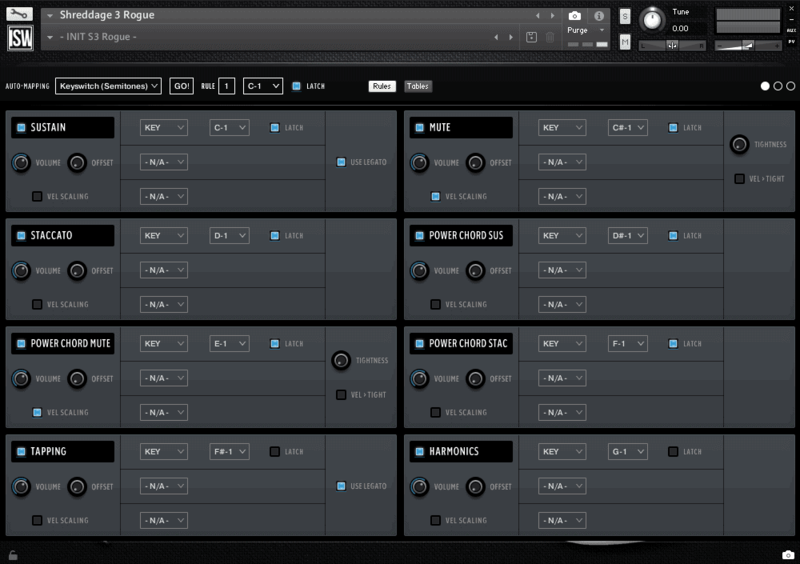 And with our new modular mixer Console, you now have over 30 effects at your fingertips, from EQs to pedals, compressors, amps, cabinets, modulators, and more. To showcase all these incredible features, what better guitar to sample than a classic American tone used in countless rock, blues, metal, pop, soul, and funk tracks? 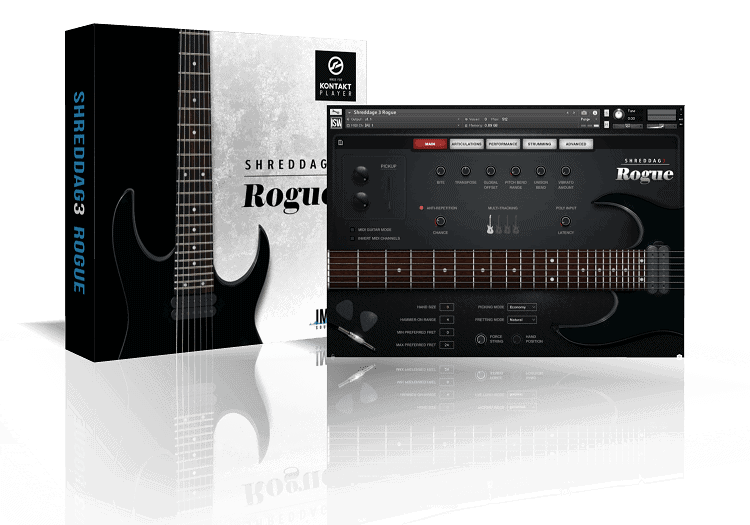 Rogue includes three unique pickup positions with custom blending along with all the key articulations you’ve come to expect from the Shreddage series sampled in exquisite detail. 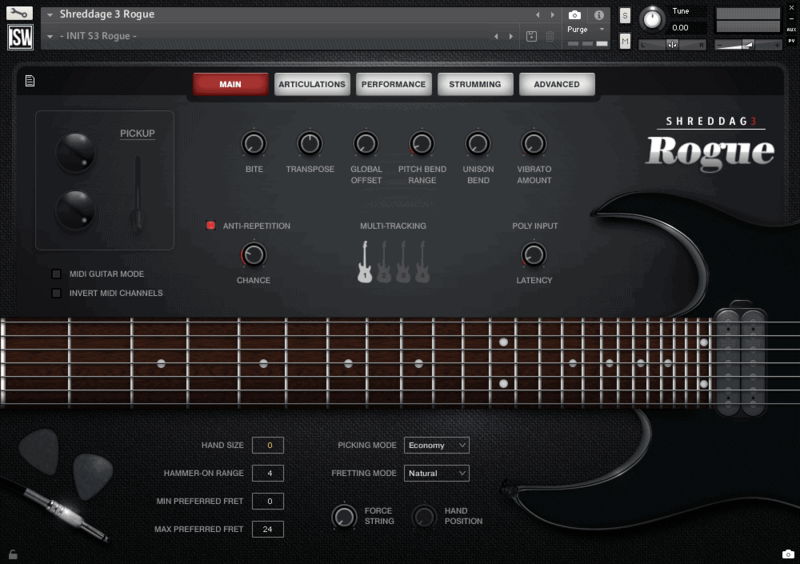 Welcome to the next generation of virtual guitar instruments! 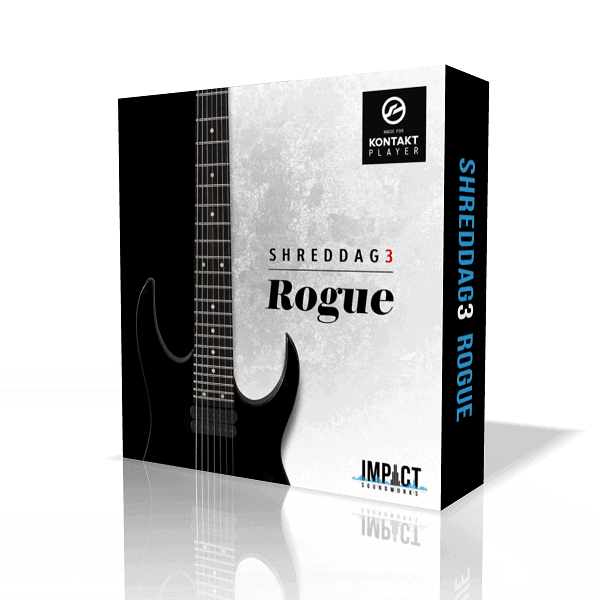 These include multiple EQs (digital and analog-style), compressors, spatial FX, modulation FX, amps, distortion pedals, reverbs, and a selection of over 30 custom cabinet IRs recorded just for Shreddage 3! These cabs cover all the most important sounds you would want, with both dynamic & condenser mics in multiple positions plus a ribbon mic for certain models. Download the Console manual here to learn more! 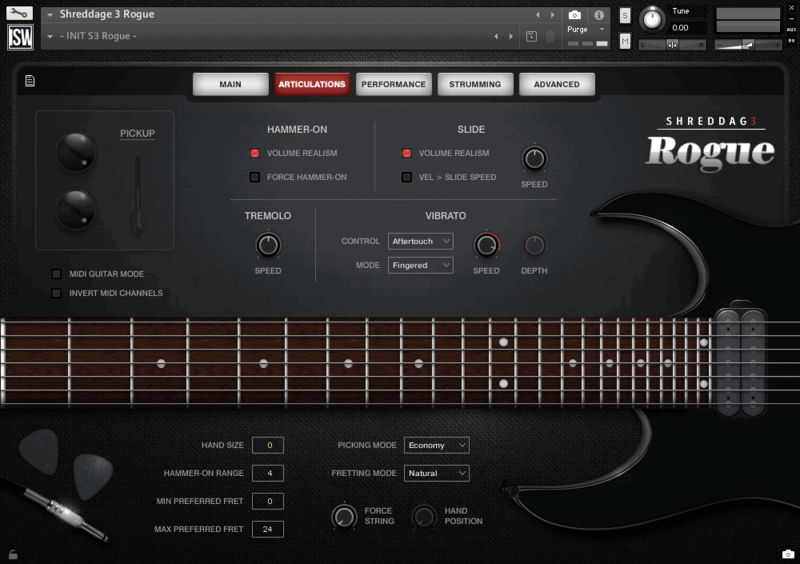 Shreddage 3 Rogue includes an updated version of TACT, allowing you to customize how all articulations are mapped and triggered! Everyone has their own preferences for how to perform or write for virtual guitar, and with TACT you can create the perfect setup for your DAW. Download the TACT 2.0 manual here to learn more!